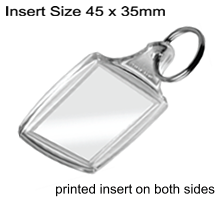 Acrylic keyrings are one of the most cost effective, popular and best selling keyrings on the market. They are durable and long lasting. Prices include full colour print on both sides and postage in the UK.